Elementary had a pretty important first season, crushing in the 18-49 demographic and eventually earning several extra episodes, as well as the coveted post-Super Bowl slot. All of these positives likely contributed to the CBS drama’s Season 2 renewal earlier this month, but if you haven’t been able to catch the modern day Sherlock Holmes tale, you’ll be able to do so when Elementary hits DVD later this summer. Elementary: The First Season will hit shelves on August 27. The series stars Jonny Lee Miller as the infamous Sherlock Holmes, a man who consults for the NYPD. His assistant is Joan Watson (Lucy Liu), an eccentric and headstrong former surgeon who is hired on to make sure that Holmes stays sober, but continues on as an apprentice to the former Scotland Yard consultant. Like most Sherlock Holmes narratives, each episode follows a mystery that needs solving and Miller and Liu prove to be quite a pair. Currently, the bonus features on the set haven’t been finalized, but we do know that a gag reel, deleted scenes, interviews with both the cast and crew, and other featurettes will be available. CBS Home Entertainment and Paramount Home Media Distribution are working together on the set and the two groups have also put together a deal with Target. 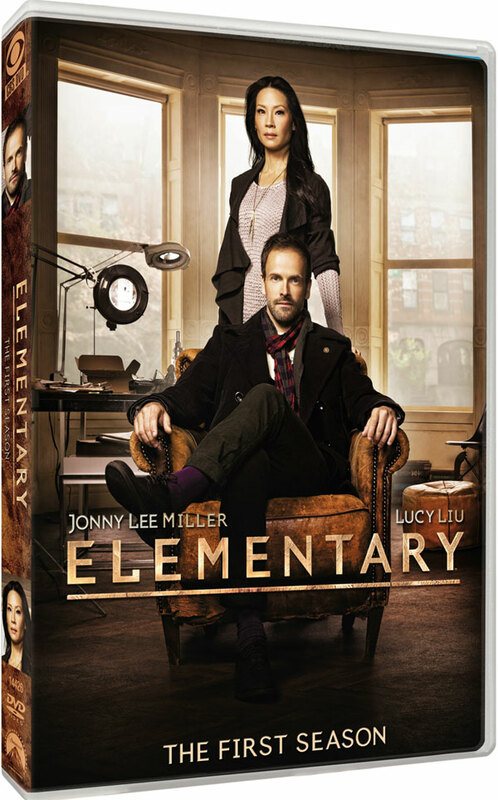 Fans who go to the big box store to purchase Elementary: The First Season will also get a special bonus disc, although there is currently no word on what exactly the extra disc will entail. CBS sets frequently run on the more expensive side, but if you do go ahead and pre-order Elementary: The First Season, you’ll be able to get the freshman drama for a little cheaper. Copies are available for pre-order for only $48.99. If you can’t wait until August for the complete season, you can always rent episodes for $1.99 apiece.